Pinchme is a product survey website where it claims to give it’s users free samples of product for a valuable feedback. So, let us see in this post review what are their pros and cons, are they scam or not. Launched in 2013 pinchme is quite an old player in this business segment. Over the years they claim to have gained more than 30,000 members and at the time of writing this article their team size is 24. 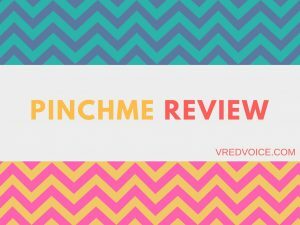 The basic principle underlying pinchme is users are given free product samples for reviewing products and they earn for each review from the advertiser. At the time of writing this article they have over 2000 product samples. But, most of these products are personal care products like shampoo, perfumes, pet foods, dish washer..etc. Although, there product range is high but we don’t think these are enough to cater to the huge number of members they have. So, we believe only a few members will be able to test these samples and that also requires a lot of patience. Many people claim to have written the reviews, but still are waiting for their product sample to arrive. Some also claim that pinchme is giving samples only to You Tuber’s and other prominent digital marketers. No, Pinchme is not at all a scam, there are still many happy members using their platform. On the other hand there are also many members who don’t get any samples even after writing and answering surveys. Although this is an excellent concept of providing freebies, pinchme needs to be more inclusive and make sure that everyone gets what they deserve. There is also a major con in encouraging these type of websites. Because of these type of websites there are more number of fake reviews and feed backs, which in turn affects the end users. But still there is nothing wrong in trying Pinchme if you are able to provide an honest feedback for the product you use.